Left Field: a memoir: Who will save our Calabash Tree? 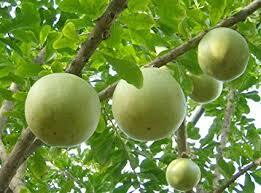 Who will save our Calabash Tree? This is an account of my two stays at St Bartholomew's hospital in 2018. The reason the senior nurse on my ward is called 'sister' is because hospitals were first opened in convents and priories. St Bartholomew's Hospital is no exception. The Priory of that name was situated between St Paul's Cathedral and Smithfield's meat market, and from my ward I look out, not only at the market, but at the Central Criminal Court, The Old Bailey. The area has been a place of butchery, oppression and healing for hundreds of years. The Scottish rebel, William Wallace, was hung drawn and quartered here and Watt Tyler, one of the leaders of the 1381 Peasant's Revolt led negotiations with Richard II at this spot and was promptly executed for his troubles. Just a gentle reminder of how cruel things can get with our rulers. My wife Anne and I had a late lunch at Apuglia, an Italian restaurant behind the hospital. I had tagliatelle with porcini mushrooms and a glass of prosecco. There was a bicycle on the wall, for art not transport. I wasn't going to be travelling anywhere. It was early evening by the time I had been 'processed' and taken to the pre-op ward. After Anne left for home I calmed my nerves by playing a Tibetan bowls recording through my earphones. I tried to meditate, but it was impossible. In any case there were distractions; stethoscope on chest and back, blood tests and blood pressure checks and a visit from the anaesthetist. I was given two razors and asked to shave my chest, arms, legs and groin. It reminded me of plucking feathers off slaughtered chickens. Not a pleasant task, but painless. The pain was to come later. The next morning my chest was sawn open, my heart was stopped and blood flow was directed to a heart-lung machine. My body was cooled down and Anne tells me she was present in intensive care when they brought me back to consciousness by warming me up. She said that the nurse threw a switch and I started to twitch like Frankestein's monster. My eyes, she said, looked like the 'living dead' and she was afraid that I was about to sit up and pull out the many tubes and wires inserted into my body. 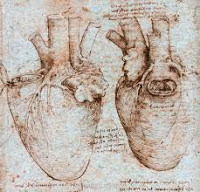 During the three-hour operation my aortic valve was replaced with cow tissue, leaving me ever grateful to my reluctant and gentle-grazing posthumous donor. All I can remember from my time in intensive care is the button I was told to press when I needed a morphine shot to ease the pain. Two days later and in the High Dependency Unit I was now conscious and taking note of my surroundings. Not very pleasant as I seemed to be connected to multiple monitors as well as tubes inserted into my stomach, neck and groin and with wires connected to my heart. I spent two nights in HDU and it was exhausting. Any attempts to sleep were stopped by the constant checks; temperature, blood pressure, blood sampling and medication administered, as I remember, through a tube in my neck At one point the patient beside me went into a cardiac crisis and with great speed the 'crash' team arrived. I wasn't in a fit state to count, but was told later that there would have been fifteen in attendance. Strangely comforting to witness such positive pandemonium in the service of one continued life. I decided I wouldn't rush this procedure. 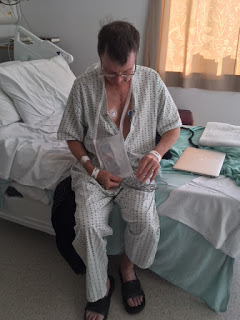 After five days on the post-op ward I was ready to go home, but the final task was to remove two 'pacing' wires wrapped around my ventricles and connected to a monitor I had to carry around with me. I had thought that the two plasters on my stomach were stitches, but a nurse told me they were the entry points for these wires and that I must remain in hospital for twelve hours after their removal. If pulled out incorrectly I could die. Brian Piniera works in stem cell research at the hospital but, from time to time, turned up on his old ward to help out as a volunteer. He is well known and well liked throughout the hospital. He was visiting me when I was given this information and offered to undertake the procedure. I was happy to have him do this tricky task. 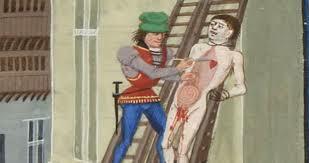 It wasn't painful, but it was frightening as I watched him start to draw them out. They were each 20 cm in length and have to be removed slowly and with a steady hand. Brian is an incessant talker, but I urged him into silence and shut my eyes. He is Filipino as are many NHS workers. Incidentally, my heart surgeon was Egyptian. Four years earlier when I had had brain surgery my surgeon was Nigerian, assisted by Italians, Spaniards and Brits of multiple ethnicities. Here I am writing this. Still alive and conscious that every breath I take is a gift of life and time. My cow and the skills of my surgical team have given me ten to fifteen years, before I might need this operation again, but I have been told one of my two carotid arteries is 50% furred up. The second is at 30%. So who knows what time I have left to me. It's quality I must go for now. A friend of mine helps run an organisation called 'The Long Now'. They have constructed a clock which ticks once every 100 years. I used to be cynical about the project, but now I understand that perspective much better. I am lucky to be a citizen of a country that can still offer me free medical procedures that have kept me alive. I was very aware of this after this operation and what needs to be done to save our medical services from the privatising predators who are creeping in through the cracks in our defences. As recently as five months before I was admitted, Barts were responsible for their own catering. 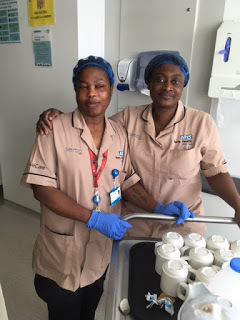 Brian told me what pride he took in serving food to his patients and how this was a central part of nursing care. Today this has been handed to Serco (company logo, “We care”.) As well as hospital contracts for food, cleaning and porterage, they run our prison and military centres. Their annual revenue from healthcare alone is over £1.4 billion. I love the idea that the military is listed alongside healthcare and 'other citizen services'. Also nice to know that the inmates of Wormwood Scrubs receive the same food services as we get in this hospital. I wonder if they have the same problem – a shortage of small spoons. In the Scrubs they may be being put to use tunnelling their escapes and probably don't ask why there is a shortage. There was no answer for me when I asked this question. Breakfast was tepid tea or coffee, cereal or porridge and toast. As I bite into the cold, spongy “toast” I could imagine Serco executives meeting to discuss how to cut back their costs to increase their profits. 'Let's start with breakfast'. On my ward I got to know my fellow patients. Barry had already had three heart operations when he arrived at Barts for his fourth. His operation lasted 28 hours and they 'lost' him three times. He told me of his out of body experiences which had traumatised him and made him scared of going to sleep. He had been born in Jamaica and next to him was Erroll, a Trinidadian bus driver from West London. They would chat about youthful memories of their island homes and their love of the calabash tree, its soft brown bark home to multi-coloured orchids. They told me that these trees, pollinated by bats, grow on hillside pastures, along roadsides and wherever there are human beings. The tree has many medicinal qualities. The NHS is our calabash tree. I wrote this poem soon after the operation. It is dedicated to Dr Wael Awad, his surgical team, anaesthetist and all nursing / ancillary staff at Barts Hospital in respect for their care and skills. to never eat beef again. Last time it was a subdural haematoma. I escaped with my brain intact. with attention to my herd. I am back in Barts, seven months after my operation. I have had a stroke caused by an infection which is attacking my bovine heart valve. -- Barts Hospital is a microcosm of UK society today. It embodies all the best and the worst. The NHS staff, from the doctors, surgeons, nurses and laboratory workers, to the caterers, cleaners and porters, work with love and commitment to the patients. They are of all nationalities, from across the EU, and from Ghana to the Phillipines. 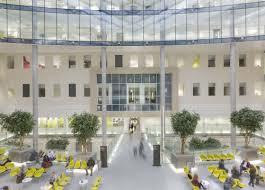 -- The new Barts King George V building, where I am now a patient again, is alive with all this and I have come to love and respect all those who work in the NHS. -- From my bed I look out on The Old Bailey and to its left are the offices of Merrill Lynch. I would like to move that banks bosses to stand trial a short distance away at the Central Criminal Court. – When you have been in hospital for a long time you learn a lot about the other patients and about the NHS staff. Here are some examples. The nurse who is always smiling, always ready with a joke and comforting words. When I comment on this I learn that her husband died when he returned to their African home to get work and rebuild a future for his wife and two sons to return to. Lydia gives me an early morning cup of tea. She has a half-day of seven and a half hours and full day of eleven and a half. The young doctor - a great guitarist - who is part of the Consultant's morning visit team who sees I am upset by the news I am given and who returns to my bedside after they have moved on to offer me reassurance. Then my fellow patients; The elderly man who, uninvited, sits beside me to tell me about his army days in Malaya. I can't stand his Empire memories, but when he turns to his love of gardening he becomes human again. Mohammed who keeps me awake all night with his involuntary dream-screams. The next morning he apologises and we go together to the nurses desk to ask for a solution to help both of us. He is moved to his own room. A dear man and I hope he recovers because he has been so ill.
– I have to be connected to a computer and carry around a bulky console. Taking a shower with it is impossible and the toilet even more so. They have recently offered us ‘carriers’ and, after a short self-training exercise, sorted out my own system. This involved cutting away 50% of the carrier straps to make it useable. I must check who got the contract for this piece of 19th-century technology. Must be another US company because it looks like a pistol-holder. – Today I woke up without a fever. This increases the chances that I will not have to face a new operation. (My consultant leans heavily in the direction of this option). And the sun is shining! Perhaps things are getting better for me. – I don’t get much sleep, with new drips, blood pressure and ECG’ arriving too regularly, but all delivered to me with humour. 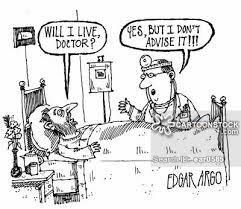 -- If this country closes down post Brexit, who will replace the Nigerian surgeon who did my brain operation, the Egyptian my heart valve replacement, the Sudanese checking my blood cells, the nurse who gets me a cup of tea after taking my ECG. Who? – Yesterday I was fitted with a Power Picc, which allows for blood tests and samples without the need for renewing catheters in arm and / or wrist. Progress of sorts. – You don't have to be in hospital for long to realise it is the dedication, long hours and humour of NHS staff which keeps it all going. I watched Jeremy Corbyn speech at LP conference. What the f—k are we waiting for? – I woke up at 3 am this morning and tried to go to the toilet for a pee. Impossible. My pyjama trouser's one remaining snap-on had now joined the others on the pyjama top and could not be snapped on or off. I tried to make it to the ward loo, one hand clutched to my trousers, the other to the electronic monitor.. My alarm went off and I sat back on the bed and waited for the nurse. She told me it had been set off because my heart rate was too high. She then got me new pyjamas and reset the monitor. Now I have a urine bottle. We are supposed to keep mobile and be self-caring, but electronic alarms and 'snap-neither-on-nor-off' pyjamas conspire to keep us immobile and set off alarms. -- Just had my Serco breakfast and wonder if anyone can tell me who has the privatised contract for NHS pyjamas? I will never write about this or any other hospital without praising all hands-on NHS staff, followed by my curse against our bankster government. – I need a scapegoat and in my case it is the goat. The microbiology lab here at Barts has concluded that the bug which got into my heart valve – the bovine (cow) valve which was fitted here in February, is of the Equine Streptococcal strain. 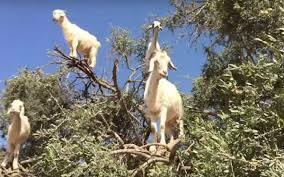 So we have cows, horses and now, my theory albeit unbacked by evidence – goats. I spent a month last summer with my Bosnian family at their home outside Mostar. On the hillside at the end of Oha and Masa Maslo's garden where I stay when I am there there are goats. Twice a day a goat-herder walks his animals slowly across my eyes. I hear their bells before I see them emerge from the trees onto the sage-covered rocks. I sit on a terrace which faces onto a garden full of cherry, pomegranate, figs and walnut trees. Wildflowers in the nearby field attract Cleopatra butterflies, Plain Tigers and a profusion of Simple Whites. Bees from Masa's hives buzz in and out from the sage bushes the goats feed from. The hill rises up to Mount Velez and we seem to be at the base of a bowl, in a hidden valley which induces a feeling of remoteness, peace and isolation. Of course this is all an illusion. The herder is a refugee from central Bosnia, eking out a subsistence living with the help of his animals. The hillside is still peppered with mines. The wildflowers in the neighbouring field are there because the family who owned the land fled when the area was under bombardment. But are the goats to blame for my hospital stay? Of course not. I am to blame for not building up my immune system after the open-heart surgery. I won't make the same mistake again. I have been told that the Russian military developed Neuropeptide Bioregulators that are great as immune builders. So I will move east of the Balkans and seek help from the Russians. Then it will be back to sitting on the Maslo terrace, waiting for the goats. – After three weeks in hospital and with the likelihood of at least the same again I have plenty of time in the company of my own thoughts. Plenty of time to observe the goings on in my ward and the lives of other patients. There are some here who are having a much worse time of it than me, medically and personally. I feel for those who do not have family or friends to visit them. The patient whose wife is disabled and housebound for example. Those without friends or whose family and friends live far away. I am lucky. My wife Anne is, for the third time in almost as many years, ( already had brain surgery at Queen's Square Nerological hospital) my life-saving presence and working hard to challenge my weight-loss with her supply of burittos. She is there on ward rounds to ask the questions I never think to ask. Waits with me while I have endless checks and scans. 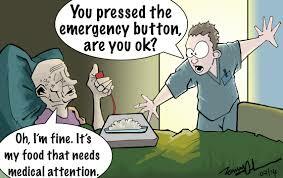 --We all deal with our hospital depressions and fears in different ways and we all have mechanisms to combat them. I am fortunate because I have Anne, who is my rock and my island. I also have other family and many friends who visit me. Others are less fortunate and seem to be entirely alone in the middle of their illness and the worries that accompany it. They are entirely dependent on the willow box. 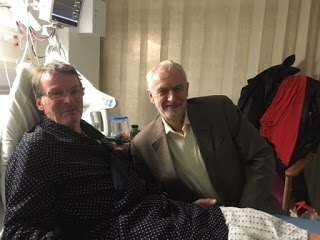 -- During both my stays in hospital this year I have not been short of visitors and have been sent cards and messages of support from across the world. Friends bring me real food as the stuff Serco give you here would put you in hospital if you weren’t here already! When left alone I read - at the moment a great book on the Spanish civil war - listen to music and chat with my neighbour - right now an Angolan geologist. But since I am long-term, they come and go and I am like the older relative, inducting them into useful secrets, e.g. how to get an early morning cup of tea. 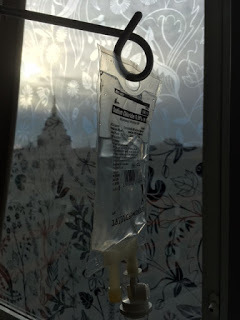 Of course my ‘bed-blogs’ - my stories on life in hospital. Finally regular physio exercises. My stroke weaknesses are getting better, but my left hand is still numb and weak and I cannot play guitar. I have one here. This is the one late-in-life talent I am most proud of so my objective is that I will play it again, just not yet. – Both lapsed and active Catholics have lit candles in churches, atheist 'Muslims' have attended mosques and offered 'dua' for me, distance healers have healed me from south west UK to south west USA, Jews have played Leonard Cohen's 'Halleluja', Buddhists have meditated on my behalf and musician friends have brought me their guitars and played for me. Thet have also brought me food as the stuff they give you here would put you in hospital if not here already. – One of my first questions to visitors is to ask about the weather. It's hard to tell from the inside of these glazed windows. Yesterday I was told it was 'too warm', 'unusual weather' and so on. Here I am separated from these experiences, looking out at them, but not a part of them. This curious situation brings me to another 'reflection'. More than ever before this hospital stay has made me acutely aware that I am observing something quite troubling out there. The advance of barbarism. Brought close to me in the comments and conversation from my visitors. - Pride of place for my reading today, an ex-neighbour's collection of her poems which nearly rolled me onto the floor in laughter. For music my son Ben, put together a music programme for me. – Of course the hospital have their routines. Drip-feed drugs fed to my arm feed every four hours, night and day. Blood pressure and temperature every four hours, Cardiogram at 6 am every morning - and so on. Then there are the unexpected. The orderly turning up to take me to X-ray, cardiac tests I hadn’t been told about and so on. Visits from medical students etc. d re– Damage to my left hand means that I can't grip the guitar strings to make the chords and individual notes. If I was a professional musician this would be a catastrophe, but for me it is just sad. I came to the guitar late in life, even after spending much of my working life with music and musicians. Firstly with War Child and then at the Pavarotti Music Centre. I will treat my guitar as central to my recovery. Will, hopefully before long, once again start each day with 'Autumn Leaves' and 'Here Comes the Sun'. – I can see the end of this tunnel now and hope to be home in ten days / two weeks. I have now been in hospital for six weeks and such a long stay has an interesting effect on you. You become ‘institutionalised’. By that I mean you construct ways of getting through the days and weeks. In my case I walk 30 ward rounds each day, a corridor that encircles all the rooms on my ward. 150 paces, so I divide it into three blocks of ten. 10 early in the morning, 10 in the afternoon and 10 in the evening. I plan the first at soon after 7am and walk past Lydia as she is preparing her trolley. This means I get given an extra early morning cup of tea! It also means I get known for this activity with the result that the doctors have stopped insisting I have the anti-coagulant injection at 5 pm. A sharp stab in the stomach which I hated. – When left alone I read - at the moment a great book on the Spanish civil war, - listen to music and chat with my neighbour - for now an Angolan geologist. But since I am long-term, they come and go and I am like the older relative, inducting them into useful secrets, e.g. how to get an early morning cup of tea. 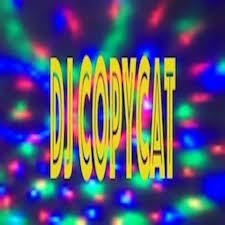 Of course my ‘bed-blogs’ - one or two now published on internet sites. – When you have been in hospital for a month you learn a lot about the other patients and about the NHS staff. Here are some examples. The patient who, uninvited, sits beside me to tell me about his army days in Malaya. Can't stand his Empire memories, but when he turns to his love of gardening he becomes human again. Mohammed who keeps me awake all night with his involuntary dream-screams. The next morning he apologises and we go together to the nurses desk to ask for a solution to help both of us. He is moved to his own room. A dear man and I hope he recovers because he has been so ill. As for me I'm now getting better. – A friend attended a lecture at The Welcome Institute last week and was told that Serco hospital food is cooked in Wales, is then frozen and transported across the country to the company’s franchises.The food is then reheated and ’served’. The culinary destinations include not just hospitals, but the military, prisons, asylum-seeker holding centres and not forgetting the Flyingdales early warning facility. A third to a half of all this food is thrown away. The bread today was clearly toasted in Cardiff! No aspersions on Serco staff who are kind, caring and doing their best on their poverty wages. 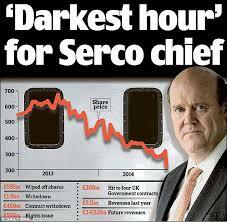 The Serco CEO on his obscene salary is doing best of all. – A new, low-carbon combined cooling, heating and power solution has been created for St Bartholomew’s Hospital in London as part of the first fully-financed PFI deal of its kind. Sounds great. I have been a patient at Barts twive this year, and neither the heating nor the air-conditioning have worked. My bed faces the west and on sunny days gets very hot. And it's autumn. A nurse told me that during the long hot summer this year the temperature on south and west-facing sides was 'unbearable' for both patients and staff. In winter, she said, it was so cold at night, they were handing out 4/5 blankets to each patient. How can a medical institution of such excellence, with such a dedicated staff, mess things up when it comes to the simple problems of temperature and nutrition? Question for private scavengers feeding off the NHS: what did you eat for lunch today? And were you warm enough? – I am now very aware that every step we take is precious. I am fortunate to be at Barts where steps matter and every morning I am receiving physio treatment from a team, who like everyone here, are helping me. As a result I will recover my steps and my guitar playing. My eldest son has spent his whole life struggling with his steps and my present predicament has heightened my awareness of his strength and inner will to overcome life's obstacles. These have included his PLP victory against this government. I have to recover fully because Anne and I live on a top floor flat which, when reached, is itself on three levels. So when you leave home today enjoy every step you take. Hospitals have things in common with prisons and it's not just the Serco 'food'. There's also the attention to numbers – the counting of days.One difference. A prisoner can mark off the days to his/her release, but here there is no end date so I count forward – today 25 days completed. Of course any other comparisons end there. Prisons are places for containment and punishment. Oh and of course now profit. I read that Serco are to be given the power of arrest soon! But there is one other comparison – the slow passing of time which allows for reflection and thought. And time to write these blogs. I am observing something quite troubling out there. The advance of barbarism. Brought close to me courtesy of Serco of course, but also in the comments and conversation from my visitors. Yesterday a friend telling me she was heading off from here to Notting Hill for a Grenfell march and that the surrounds of the massacred building are full of toxins, as found at Ground Zero in NYC. Other topics passing through my hospital room range fromthe impending struggle over the decline in social security payments to the twelve, or is it thirteen, years we have left tosave our world from global warming. And have you heard that the 1% who are responsible for this are buying up property in New Zealand? I am sure you have your own concerns which you can add to this list. 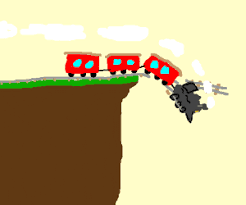 So now to this train and the cliff. I was once a member of the International Socialists – today's SWP. In my time I have been an anarchist, Trotskyist, syndicalist, nihilist and today's desperatist. Anyway, their leading cadre was Yigael Gluckstein, an Israeli revolutionary who changed his name to Tony Cliff. He would often open his talks with this. “Comrades, we are all on the same train. The rich are eating caviar and sipping champagne in the restaurant car. The middle class are asleep in their couchettes. The working class are crammed into the corridors. But we are all on the same train. And it is heading to barbarism.”I used to think his view was extreme. Surely we had plenty of time to stop the train. Today I think he was thinking along the right tracks. Visit me, tell me about the weather and let me know what you think. Help me pass the time as we head towards that cliff. After three weeks in hospital and with the likelihood of at least the same again I have plenty of time in the company of my own thoughts. Plenty of time to observe the goings on in my ward and the lives of other patients. There are some here who are having a much worse time of it than me, medically and personally. I feel for those who do not have family or friends to visit them. The patient whose wife is disabled and housebound for example. Those without friends or whose family and friends live far away. I am lucky. Anne is working hard to challenge my weight-loss with her supply of burittos. She is there on ward rounds to ask the questions I never thought to ask. Waits with me while I have the endless checks and scans. I am reading my friend, Dot Hughes,' collection of her poems which nearly rolled me onto the floor in laughter. Then those who give me distance healing and their prayers. My son who put together a music programme for me. My Bosnian 'son' who suggests music to get better with. Finally the staff here whose care and humour I have already written about. And not allowed to escape without mention. The Barts nurse, now working here in research, who became a friend when I was here for the operation in February and who regularly visits me and answers the questions I still need answers to! I am not going to claim all is perfect in my life. There are those once close to me who remain distant. --Now for the dark side of hospitals, creeping – no galloping - privatisation of our NHS and what it means in reality. As I have already reported Serco, 'serves many community services, including hospitals, the military and prisons. 'Oh and controls the Flyingdales early warning system in Yorkshire. It also runs Yarls Wood women's immigration detenton centre. The company was referred to the Serious Fraud Office for overcharging the Ministry of Justice for the electronic tagging of prisoners there and in other 'holding' facilities. When the women went on hunger strike in March 2018 their supporters left decaying food on the steps of Serco's London HQ as an act of solidarity. – The company has since struggled to win new work while losing a series of contracts including a deal to manage the Docklands Light Railway in London and run a New Zealand prison amid allegations that staff were running “fight clubs”. Meanwhile Serco food here at Barts is, well, a mess of mash. I have started chosing sandwiches as an option; today's tuna lunch,shrouded in white chemical bread. It would not cut much Cerco CEO, Rupert Soames' £850,000 annual salary to use a half-way decent roll. – When Native Americans visit a friend, they symbolically place any troubles they have in a willow box at the door so they don't bring them into another's life. I mention this because hospitals are suprisingly cheerful places if you ignore the illness and suffering that accompany the lives of most patients. – I have to be connected to the computer and carry around this console. Taking a shower with it is impossible and the toilet even more so. They have recently offered us these ‘carriers’ and, after a short self-training exercise, sorted out my own system. This involved cutting away 50% of the carrier straps to make it useable (They were pre-tested on someone the size of Frankenstein.) Gonna check who got the contract for this piece of 19th-century technology. Must be a US company because it's like a pistol-holder. I woke up today without a fever.This increases the chances that I will not have to face a new operation. And the sun is shining! 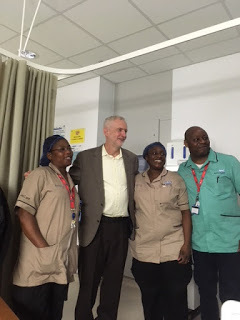 If things are getting better for me it is largely due to the NHS staff here. I don’t get much sleep,with new drips, blood pressure and ECG’s arriving too regularly, but all delivered to me with humour and a “You’re welcome.” I have said it before, but I will say it again and… again. If this country closes down who will replace the Nigerian surgeon who did my brain operation, the Egyptian my heart valve replacement, the Sudanese checking my blood cells, the nurse who gets me a cup of tea after taking my ECG. Who? Yesterday I was fitted with a Power Picc, which allows for blood tests and samples without the need for renewing catheters in arm and / or wrist. Progress of sorts. You don't have to be in hospital for long to realise it is the dedication, long hours and humour of NHS staff which keeps it all going. 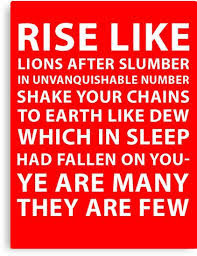 I watched Jeremy Corbyn speech at LP conference. What the f—k are we waiting for? JC4PM and soon. – I tried to go to the loo for a pee. Impossible. My pyjama trouser's one remaining snap-on had now joined 90% of the others on the pyjama top and could not be snapped back on. My alarm went off and I sat back on the bed and waited for the nurse. She told me what had set it off was because my heart rate was too high. She then got me new pyjamas and reset the monitor. Now I have a urine bottle. We are supposed to keep mobile and be self-caring, but electronic alarms and 'snap-neither-on-nor-off' pyjamas conspire to keep us immobile. Just had my Serco breakfast and wonder if anyone can tell me who has the privatised contract for NHS pyjamas? – I am going home in three days after being at Barts for seven weeks. I have been told that Jeremy Corbyn is going to visit me. His office has let me know the date and time. I am amazed, but delighted that he is coming. He is my MP and I have known him for twenty years. When I was Press Officer at the Stop the War Coalition we would meet regularly, but I didn't count myself as being close to him and felt embarrassed that he was making this effort to see me. A friend told me that a haidresser in Notting Hill received a phone call from David Cameron's office. He wanted a haircut. This was after he had resigned as PM. Half an hour before he was booked in three burly gentlemen entered the premises and, without a word, started opening drawers and cupboards. This didn't happen in my hospital ward. 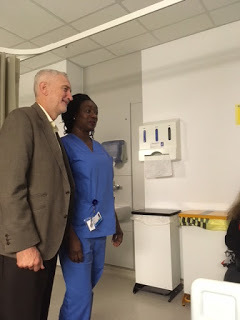 The door opened and there was Jeremy, hotly pursued by surprised and delighted ward staff. I had been careful not to let anyone know about his visit. Olivia and Lydia posed for selfies with him and he happily obliged. I had a mental list of things I wanted to discuss with him - how was he coping with all the pressure, the Press hostility, the vicious attacks from the right wing of his own party, the false accusations of racism and anti-semitism. Not a chance. He wanted to talk about the Spanish civil war book on my side table and what had brought me into hospital. When, after an hour, he and his wife Laura said they were going home he asked Anne if she would like to join them on the bus . They live in Finsbury Park not far from our home in Holloway. No burly men, no security detail, no driver. He is an exceptional man and quite unlike what we have come to expect of politicians. I hope he stays safe and and that we all work hard to ensure he becomes our next Prime Minister and that. Together, we can build a better world. I was very aware of this after both my operations and what needs to be done to save our medical services from the privatising predators who are creeping in through the cracks in our defences. Worlds apart: how the paradise of the rich is madeout of the hell of the poor. David Wilson is a long-stay patient at Barts Hospital, London, receiving NHS treatment for a serious heart condition. He has led an extraordinary life, which he describes in his acclaimed book, 'Left Field' He has been a gaucho, a teacher, an artist’s agent, a filmmaker and much else besides. “David Wilson has lived a life and a half,” says the renowned writer Sir Tom Stoppard. “The broken world needed people like David; it still does”. On my circumnavigation of the ward here at Barts hospital as part of my physio rehab, I look over at The Central Criminal Court (the Old Bailey) and to its left one of the offices of merchant bankers, Merrill Lynch. I can’t resist the thought that the occupants of the Merrill Lynch Giltspur Street offices should be marched next door, to appear at a new bar for them, and charged with crimes against the people for facilitating the obscene wealth of the richest 1% in the world. As Oxfam reported earlier this year, just 42 people hold as much wealth as the the 3.7 billion who make up the poorest half of the world’s population. While Merrill Lynch have helped create a world of tax cuts for the rich marked in the trillions, for many millions its corollary is an economy of part time, temp, contract, on call, and gig jobs, food banks, homelessness and growing poverty. Barts Hospital, where I am now on long-stay, has its share of all that. I pause my therapy walk and look over at the plush executive suite being prepared for a boardroom breakfast. On two large plasma screens at the far end of the room a film of deep blue water and sunshine. A yacht glides across from one screen to the next. The Merrill Lynch world. If matters continue as they are, that yacht will either get mired in plastic waste, or have no safe port to return to. Or if it does there will be armed Brazilian fascist guards protecting its arrival. So who are Merrill Lynch? They are an investment bank engaged in prime brokerage and security dealings. For you and me that means gambling with other people’s money – lots of it. In 2008 as we were all saving the banks it was reported that in one year, July 2007 to July 2008, Merrill Lynch lost $52 million daily. The first thing they did was to charge $30 billion in losses to their subsidiary in the United Kingdom. Why the UK? Need you ask? Because in this country they were exempt from taxes. For Wall Street, London = offshore. He then went on to purchase new office curtains for their Wall Street HQ at a cost of $18,000, $28,000 for a pair of chairs, $87,000 for a “Roman Shade”, $11,000 for Regency chairs, six wall sconces for $2,700, a $13,000 chandelier in the private dining room and six dining chairs for $37,000. Oh and a “custom coffee table” for $16,000, an antique commode “on legs” for $35,000, and a $1,400 “parchment waste can.” “It really would have been very difficult for me to use it in the form that it was in,” said Thain. Did he have a desk and a phone? I return to my ward to wait for a tepid cup of tea and cold toast courtesy of Serco, who ‘won’ the privatised catering contract at this hospital. In the words of Vicor Hugo, “The paradise of the rich is made out of the hell of the poor. What to do about the NHS ‘sick rose’ as theprivatisation worms gnaw at its innards? The awful legacy of the PFI legal robbery: Is it cheaper for the taxpayer? No it is not. In every area it has been adopted, it has cost more, and will go on costing more. David Wilson has a heart condition requiring a long stay for treatment in Barts Hospital, London, which is still – just – in the NHS. Barts Hospital is a microcosm of UK society today. It embodies all the best and the worst. The NHS staff, from the doctors, surgeons, nurses and laboratory workers, to the caterers, cleaners and porters, work with love and commitment to the patients. They are of all nationalities, from across the EU, and from Ghana to the Phillipines. My brain surgeon was Nigerian and my heart surgeon was Egyptian. Assisted by Italians, Spaniards and Brits of multiple ethnicities. I wasn’t awake on either occasion to take a full itinerary of those present. The new Barts King George V building, where I have now been a patient for five weeks, is alive with all this and I have come to love and respect them all. As I have mentioned before this brand new building is already a constructed disaster, financed on Public Finance Initiatve (PFI). The air conditioning / heating has never worked properly and the UK taxpayers will be paying off the inflated costs to the private construction companies for decades. Many of the services, from catering to porterage and cleaning have been sold off to the privateers from Serco to Virgin Care, with their staff recruited as agency workers on low pay and without contracts and unions. Few people know what PFI is, which is no surprise since it is a sleght of hand and no magician likes to publicise his/her secrets! It is about government borrowing money but not having to set it against the public sector borrowing requirement. It allows the private sector to get involved in the health services without incurring risk. The result is a massaging of figures which allows for legal robbery from the public purse. North East NHS build cost £812 million, with total repayment costs of £5512 million. North West NHS build cost £1345 million, with repayment costs of 10,325 million. North (Leeds area) NHS build cost £903 million, with total repayment costs of £4,388 million. Phil Hammond has announced that in any upcoming general election he will stand against the right-wing Tory MP Jacob Rees Mogg, who is a pontificating advocate for PFI and privatisation generally. Back here at Barts Hospital, EU staff are worried for their futures if Brexit goes ahead. They will leave and some have already done so. Who will stand by them and stand up for the NHS? Obviously not our breakit government who will brexit us even further in the direction of the PFI model of massive profits and maximum exploitation. This will be boom time for Serco and their bigger US companies, already on daily flights into Heathrow from JFK — vultures hovering for rich NHS pickings. There is no hope either in Chuka Umunna and other right-wing Labour MPs, whose commitment to the neoliberal agenda makes them nostalgic for the years of their hero, Tony Blair. Serco should bethrown out of our hospitals and food should, once again, be treatedas central to health and getting better, not as a means to enrichfurther the already wealthy. 350 tonnes of waste, including human body parts, amputated limbs, infectious fluids and cancer substances had been unsafely stockpiled and disposed of by Healthcare Environmental Services.The Independent, 5 October 2018. 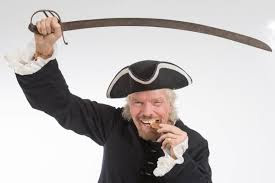 Richard Branson’ss Virgin care lead the way and over the past seven years have been awarded NHS contracts worth over £2.5 billion. Today they are running over 400 NHS services. As a patient at St Bartholomew’s hospital in London, I am aware of the most recent arrival here; serco.They replaced the notorious Carillion and clean the wards and provide our meals. Their employees, loving, gentle and caring like all NHS workers, once worked directly for the health service, but today they are all agency staff lacking even the paucity of security offered to NHS employees. Most are earning £8 per hour and haven’t seen a pay rise for ten years. This outsourcing is cheap because the caterers and cleaners can be employed with worse terms and conditions than in-house staff. This is all good news for Serco’s CEO Rupert Soames, (Winston Churchill’s grandson) with his annual salary of £850,000.